Rosalie Hart has finally opened the café of her dreams. Decked out with ochre-tinted walls and stuffed with delicious organic fare, the Day Lily Café is everything Rosalie could have hoped for. But not five minutes into the grand opening, Doris Bird, a dear and trusted friend, cashes in on a favor--to help clear her little sister Lori of a first degree murder charge. With the help of her best friend and head waiter Glenn, Rosalie is on the case. But it's not going to be easy. Unlikable and provocative, murder victim Carl James Fiddler seems to have insulted nearly everyone in town, and the suspect list grows daily. 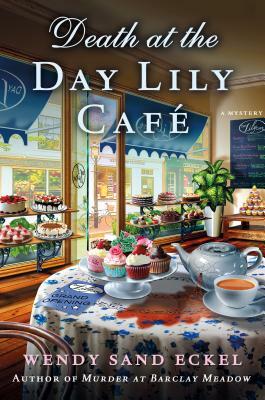 And when Rosalie's daughter Annie gets caught in the crossfire, the search for the killer becomes personal in this charming cozy perfect for fans of Diane Mott Davidson and Joanne Fluke. WENDY SAND ECKEL is a psychotherapist who lives in Annapolis, Maryland, where she enjoys her family, multiple pets, and life on the water. Murder at Barclay Meadow is her first novel.